For the third time this season District XI powers Bethlehem Catholic will take on Northampton Area but this time it will be for PIAA State Gold. 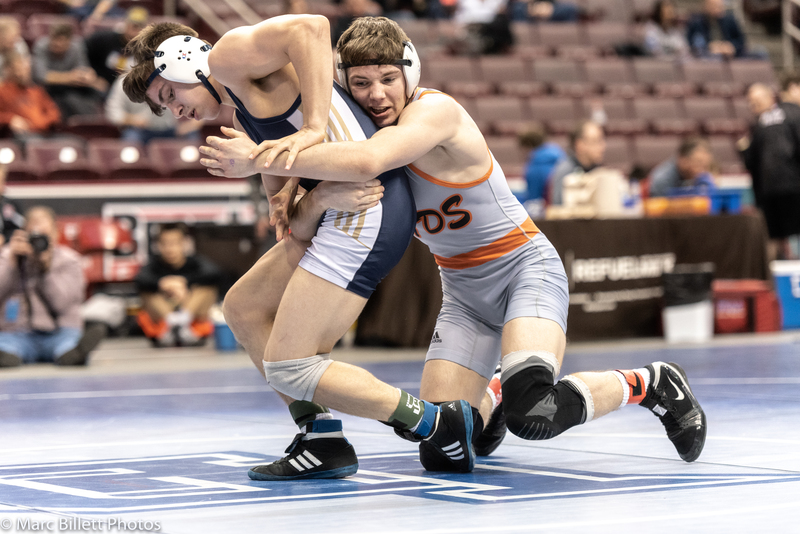 On Friday night from inside the GIANT Center an unlikely Northampton found themselves sitting in the State Finals after a ten year absence from the PIAA State Dual Team Tournament. The last time the Konkrete Kids made an appearance in the PIAA State Dual Team Tournament was 2009 when they finished third. Since then Northampton has been on the short-end of a District XI stick that only qualifies two teams to the State Tournament. They are in search of their second ever State Dual Team title having won the crown in 2000 – just the second ever contested Dual Team Championships. It is their first State Finals appearance since 2008 when they were second to Central Dauphin. For Bethlehem Catholic this is normal. The Golden Hawks are looking for their second straight State Championship and their seventh overall. Since 2011 there has only been two years where Bethlehem Catholic has not won a State title – 2015 & 2017. If recent memory serves us correctly, it looks promising for Bethlehem Catholic as they have twice this season defeated Northampton including last week in the District XI semifinals. Their first meeting on December 20th was a (32-26) win for BECAHI but the gap widened last week when the Golden Hawks were victorious (41-13). The good news for Jeff Karam is he now has Tavion Banks available at 182 pounds. The bad news for Seth Lisa is State Medalist Devon Britton is highly unlikely to make his return back from an injury on Saturday afternoon. Regardless of the result on Saturday it is quite the run Northampton has had this post-season as they won four matches last weekend, including victories over #4 Liberty and #5 Nazareth, to qualify for the PIAA State Tournament. In the Semifinals Bethlehem Catholic rode a wave of six straight wins to start out against #7 Council Rock South. They never looked back in a (41-15) thrashing of the Hawks. Northampton won almost all of the critical matches in a convincing (34-22) win over #2 Kiski Area.